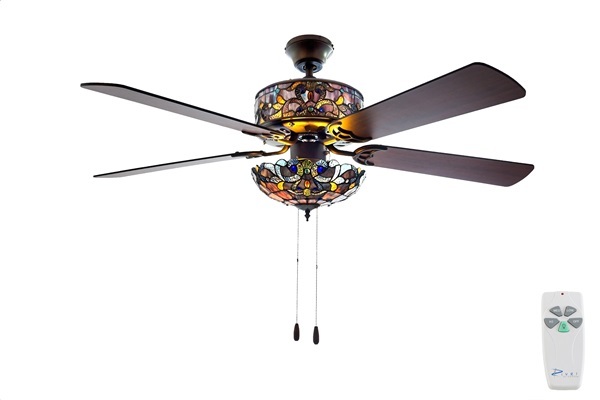 The beauty of stained glass in a functional ceiling fan. 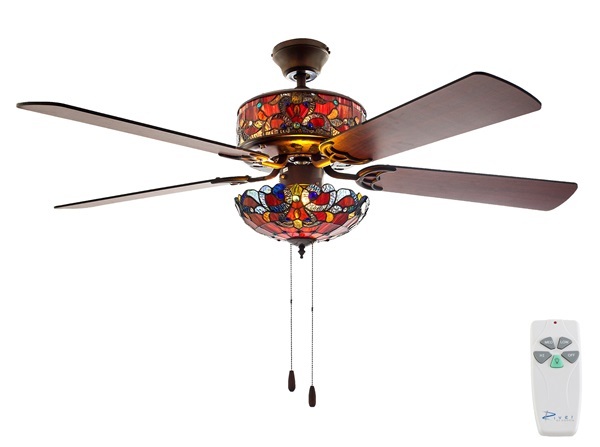 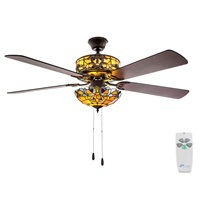 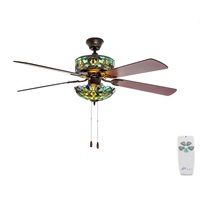 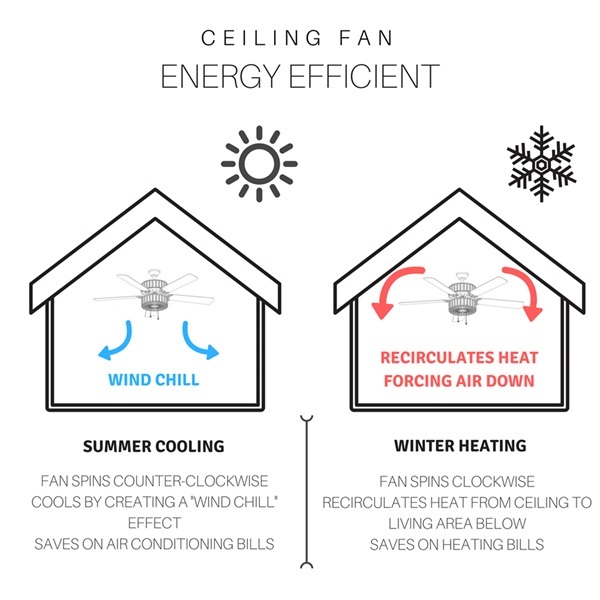 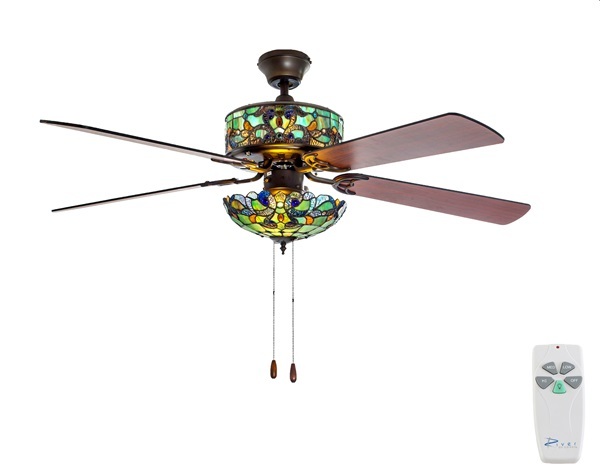 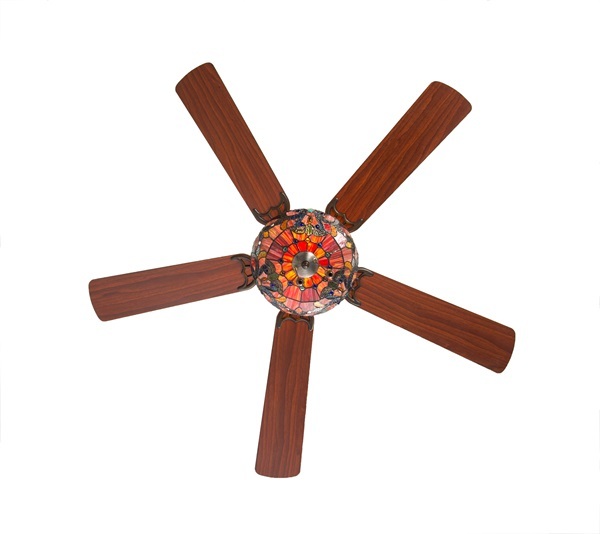 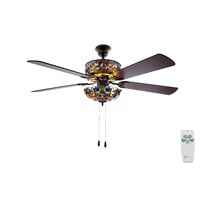 Illuminate your home in style and comfort with this Magna Carta designed ceiling fans. 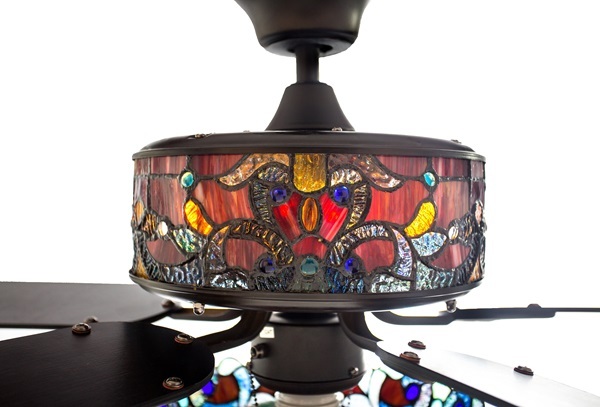 Six lights highlight the more than 250 total glass cuts and bring shine to the over 60 glass cabochons. 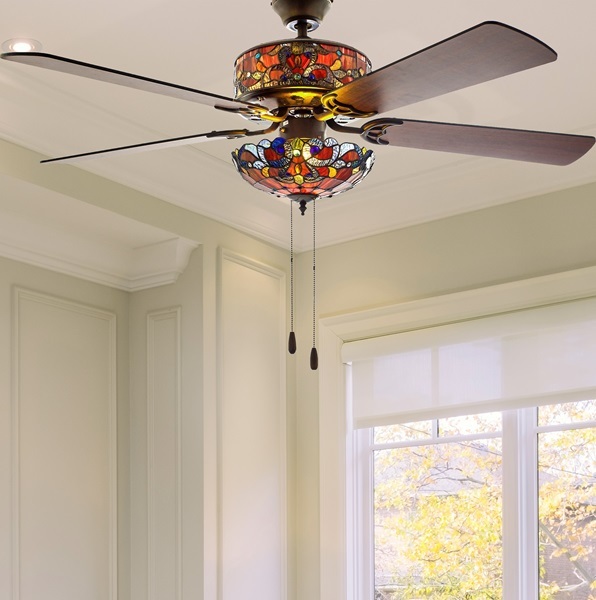 This traditional baroque design is created with striated and ripple glass. 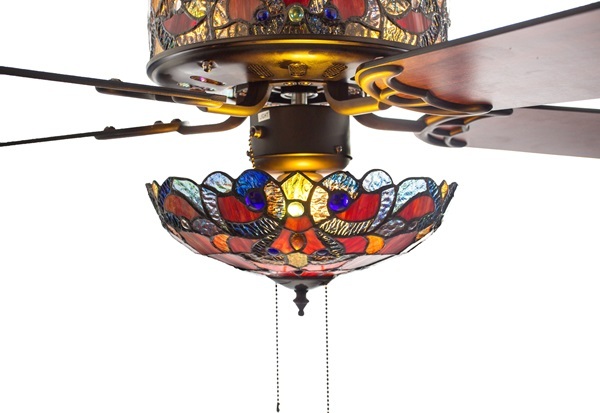 Each glass cut has been soldered together using the copper foil method, made famous by Louis Comfort Tiffany in the early 1900’s. 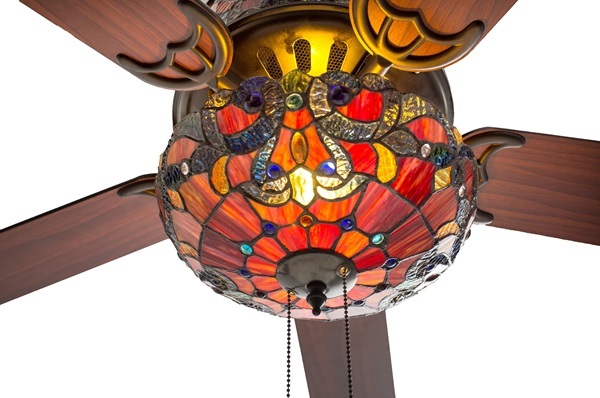 Every piece of glass is unique in color, so variations may occur making each style special. 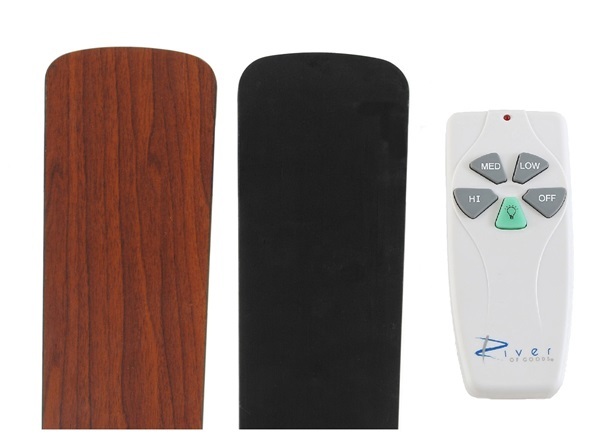 Five wood grain-textured blades are included with black on one side, and mahogany on the other for reversible color options. 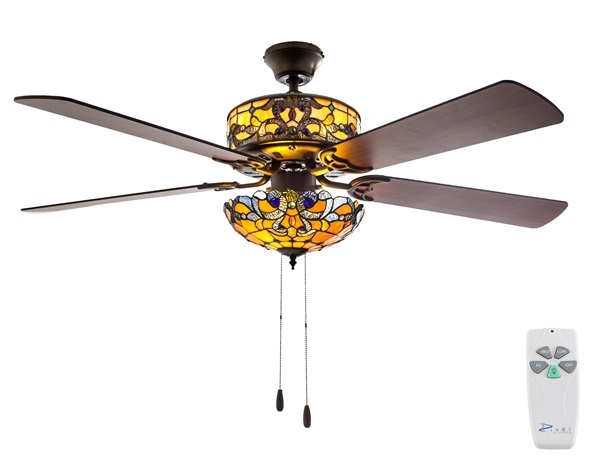 Pull chain switches allow for manual power off/on, light operation, and three-speed motor (reversible). 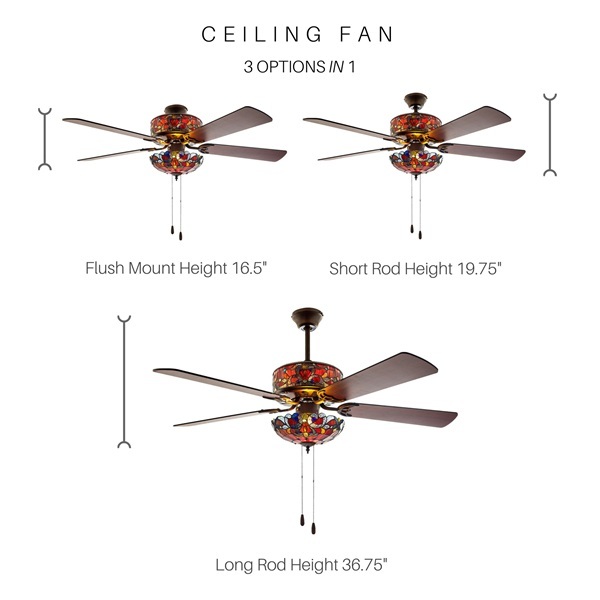 A short 4" down rod and longer 21" down rod are included for two display options, as well as flush mount. 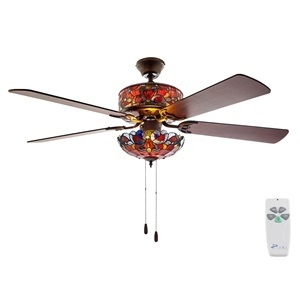 Includes remote control for ease and convenience, featuring buttons for blade speed and light operation.